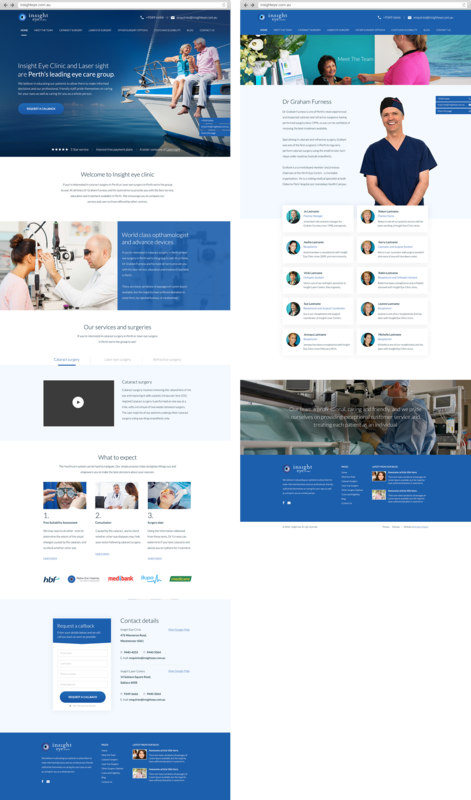 Modern and professional healthcare website for Insight Eye, laser eye clinic. Paula and the team at Insight Eye were so switched on and had some great ideas about what would work well for their target audience. The result is an on-trend website that communicates their brand, as well as providing a useful informational resource for patients.